If the size is less than 1/32 inch, exit. Put the size divided by 1/4 inch into the pen size. If the size is less than 1/4 inch, pick a greenish color. Draw a line using the size divided by the number for the length. Pick a ratio between 1/32 and 1/24. Turn left the ratio. Draw another forest tree given the size times 2/3. Turn right the ratio. Turn right the ratio. 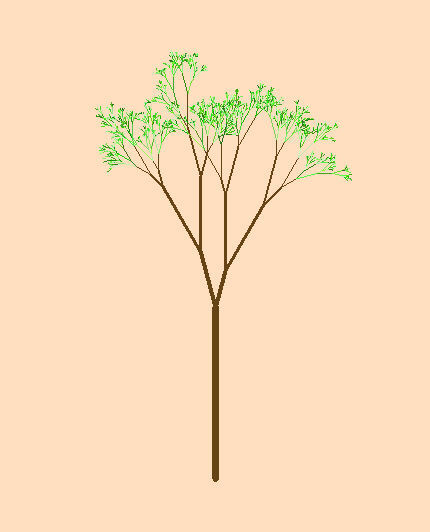 Draw a third forest tree given the size times 2/3. Turn left the ratio. Go back to where we were. Erase the screen using the tan color. Start within 3 inches of the screen’s bottom line. Pick a size between 3 and 6 inches. 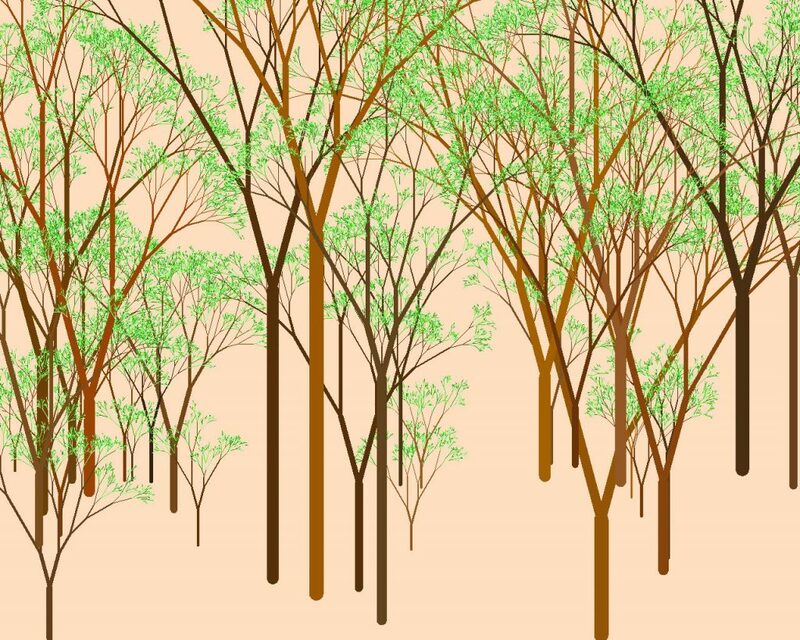 Draw a forest tree with the size. Next Post Plain English Programming — Is a Picture Worth 1000 Words?